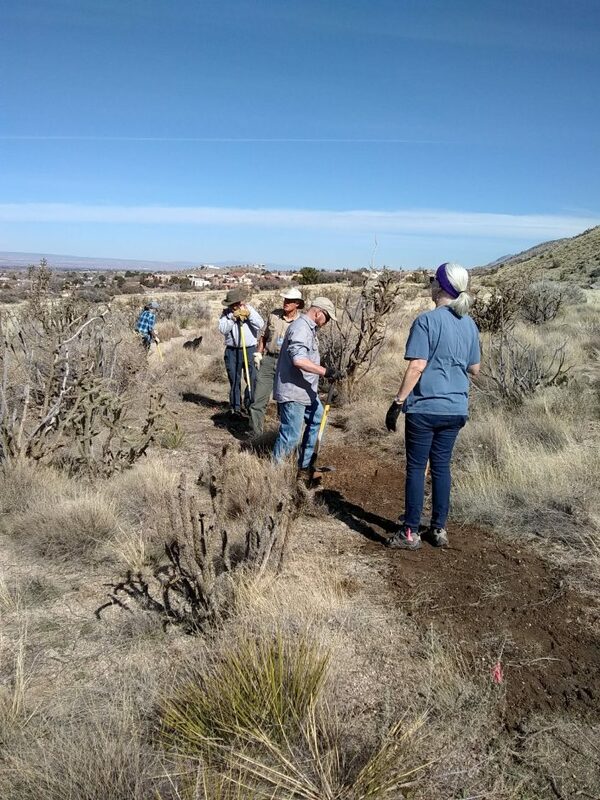 The NMVFO re-routed trail in the Sandia Mountain foothills in Albuquerque, at the Copper trailhead (near the I40 Tramway exit) this Saturday. 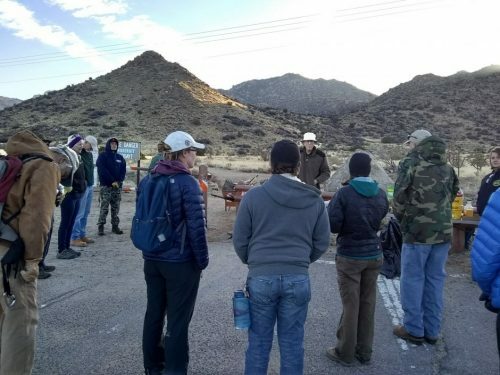 On Thursday new members took a class on trail building, and today new (and old) members put these new skills into practice, starting with a safety briefing. 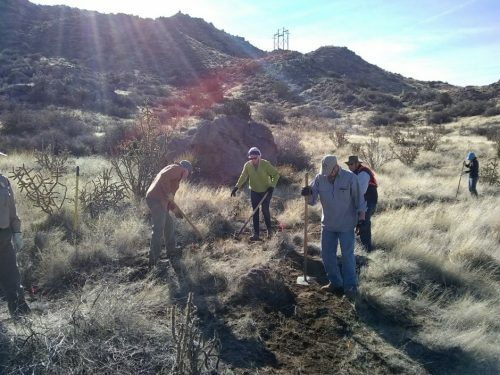 We were joined by Albuquerque Open Space staff Jim, Bill, Jonathan, and Tricia– several recognized from previous projects. 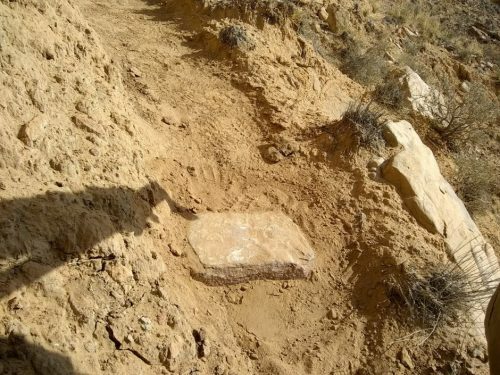 They had already flagged the new routes, and we split into three teams to build trail or do rock-work. 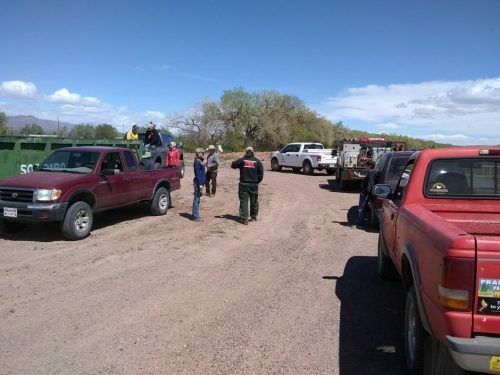 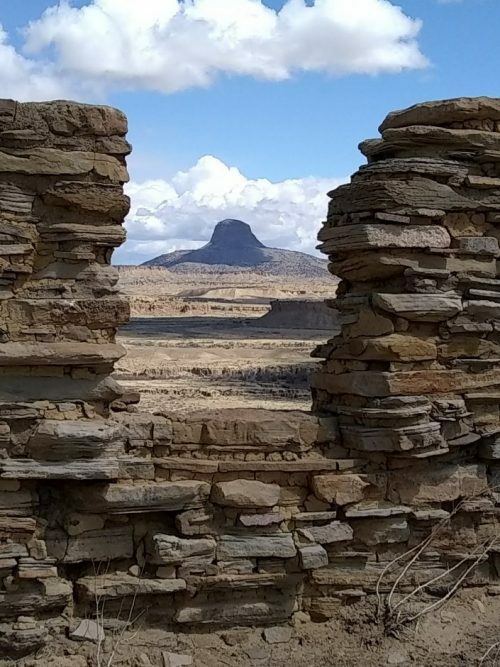 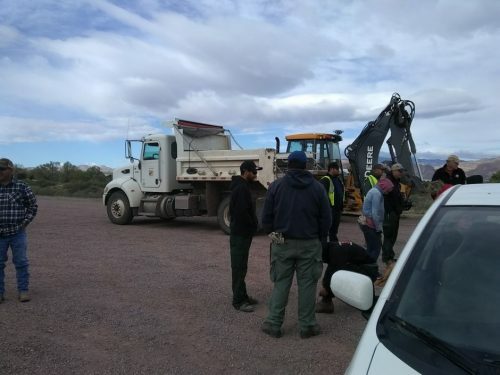 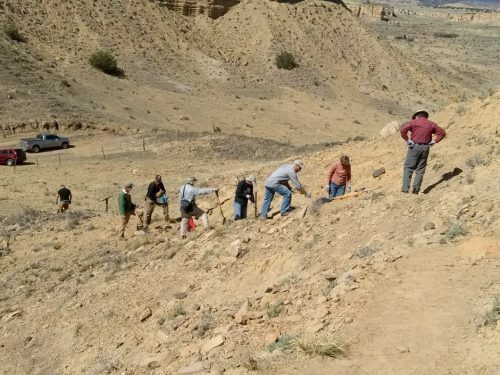 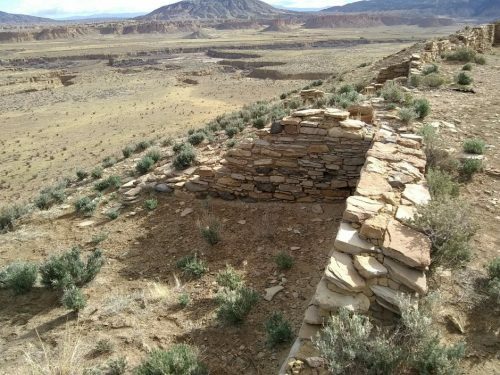 This first NM Volunteers for the Outdoors (NMVFO) “trail” project of 2019 was cancelled due to federal government shutdown, then rescheduled when the feds reopened for a few weeks. 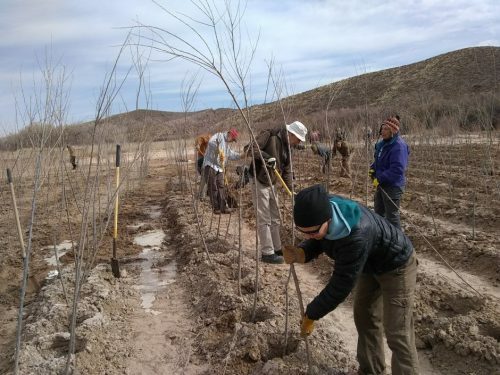 Kudos to the wildlife refuge staff who scrambled to get holes drilled and find black willows and cottonwoods in time for us volunteers to plant. 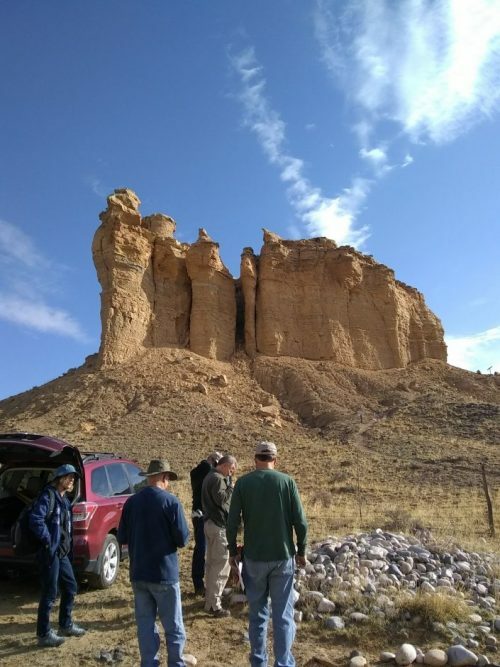 John, a staff biologist, explained that we were working on habitat for three threatened species: the silvery minnow, western yellow-billed cuckoo, and willow flycatcher. 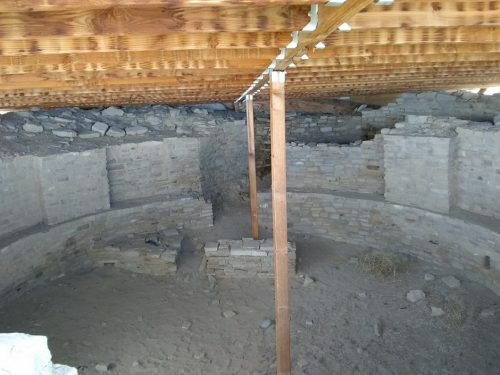 The flycatchers prefer overlapping diagonal branches very near water (for mosquitoes), so the holes for trees were closer together than in previous willow projects. 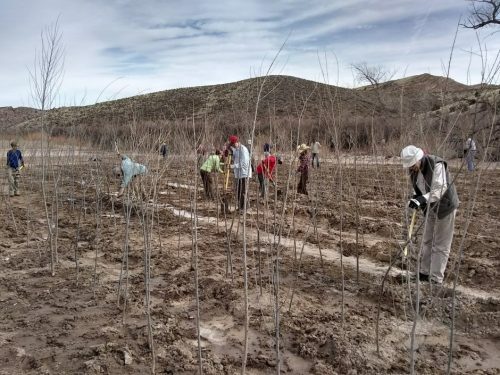 The silvery minnow prefer to breed in shallows, and the Rio Grande has tended to become a deep narrow channel past Cochiti Dam, so a shallow inlet was dozed to the river near our planting site, and the willows will help hold the bank. 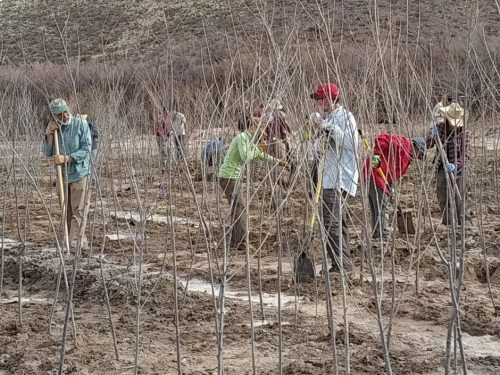 We were joined this Saturday by an Americorp group out of Texas, friendly and diligent workers.